A lot of people reading Chloe's blog may think that I'm a Geordie boy, but I actually grew up in Greater Manchester and only moved to the North East 3 years before meeting Chloe. My move to the North East was a result of one of those crazy spur of the moment decisions that happen in life from time to time. I was offered a job in the Games Industry and it was too much of an exciting opportunity to turn down. My family and friends were pretty shocked when I announced I was moving to somewhere I'd never even visited before. I arrived in the North East as a complete stranger! I visited for a day with my mate Rob to find myself a house share and we wandered around the city with no idea of where we were going. In the evening we decided to sample the famous Geordie night life and after getting off the bus at the top of Northumberland Street we somehow made it down to the Quayside before finding a bar. We stumbled across Pitcher and Piano and the Waterline so had drinks there before heading to the Big Mussel for some Belgian Beer. We had no idea where any other bars and restaurants were! 2. Why do you love living in the North East? I'll be honest, for a long time the North East was just somewhere I hung my hat. I was a little homesick in the early days and would drive back home to Lancashire most weekends to see my family and friends. It wasn't until I met Chloe and saw the North East through a new pair of eyes that I began to appreciate my new home. One of the first things about Chloe that I fell in love with was how obsessed she was with Newcastle, I couldn't believe how much she loved it and her enthusiasm made me so happy and before I knew it I was pretty smitten too. 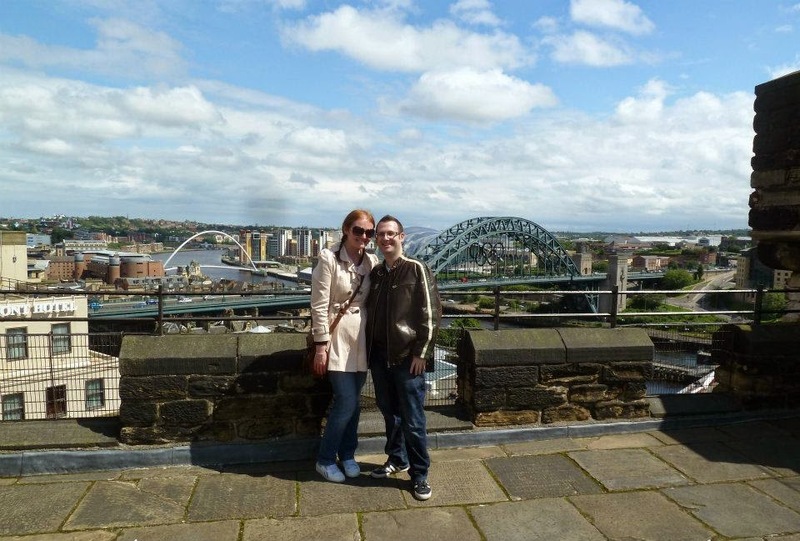 As soon as Chloe started researching the North East and arriving in Newcastle every few weekends with a mammoth list of places to go, I realised how much I'd missed out on. 3. Where's your favourite place in the North East to relax? Definitely Jesmond Dene House. I would move in if I could! We first popped in for a cup of coffee after a walk and I was so impressed with how relaxing the lounge was. It's such a great place to chill out, very peaceful, with wonderful staff and gorgeous food. It's great for every season too - we love relaxing by the fire in the Winter and drinking on the terrace in the Summer. 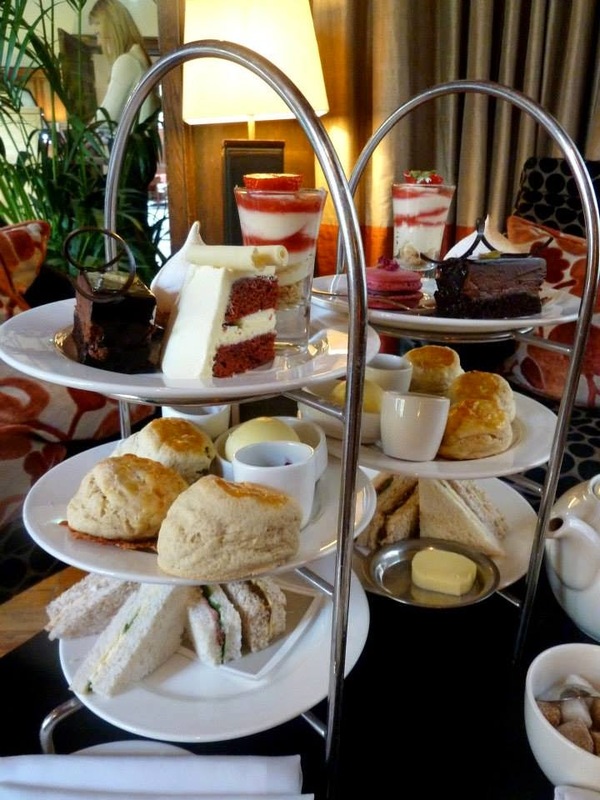 It's also our favourite place in the North East for afternoon tea and a few years ago we even stayed the night in one of the suites and I haven't stayed anywhere as beautiful since. 4. Recommend some foodie places in the North East? So many places! 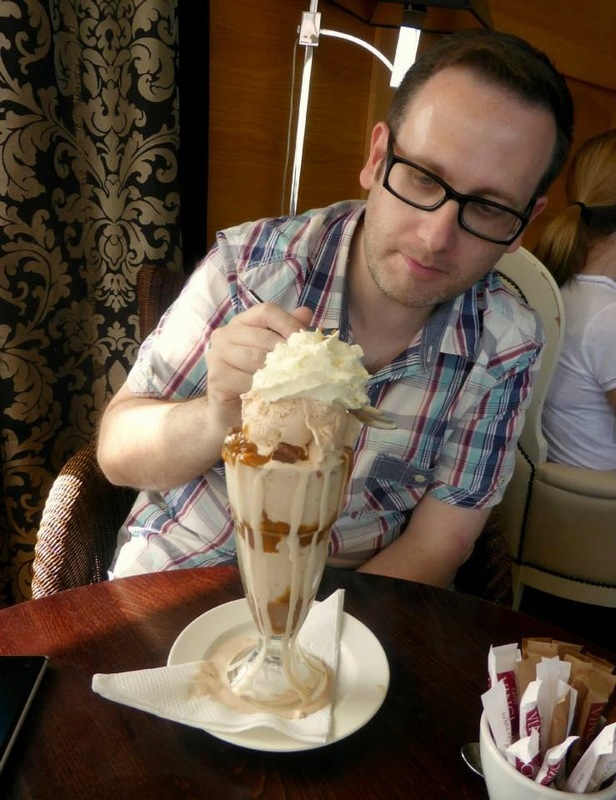 I have a bit of a sweet tooth and one of my favourite places to visit is Beaches and Cream in Cullercoats. They make the most fantastic sundaes - they're absolutely huge to the point where they are falling out of the top of the glass. I insist that we go every time we're at the coast. Another favourite is Lottie McPhees who have a little tea room in Whitley Bay. We discovered Lotties when I first took Chloe to the Quayside Market on a Sunday, we became hooked on their delicious cupcakes. 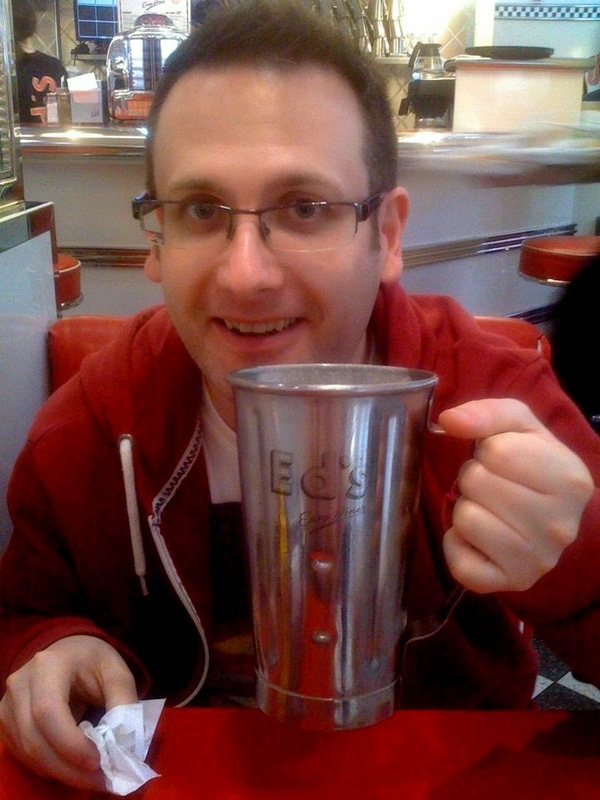 I'm a huge fan of American diner food so Ed's Diner in the Metro Centre is my guilty pleasure. I love that you can get mammoth sized milkshakes. I'd keep it simple and go back to the early days of our relationship when Chloe used to be a visitor to Newcastle. We always spent our Saturday mornings pottering about in Toon which would inevitably end up with us looking round the Food Hall in Fenwicks. 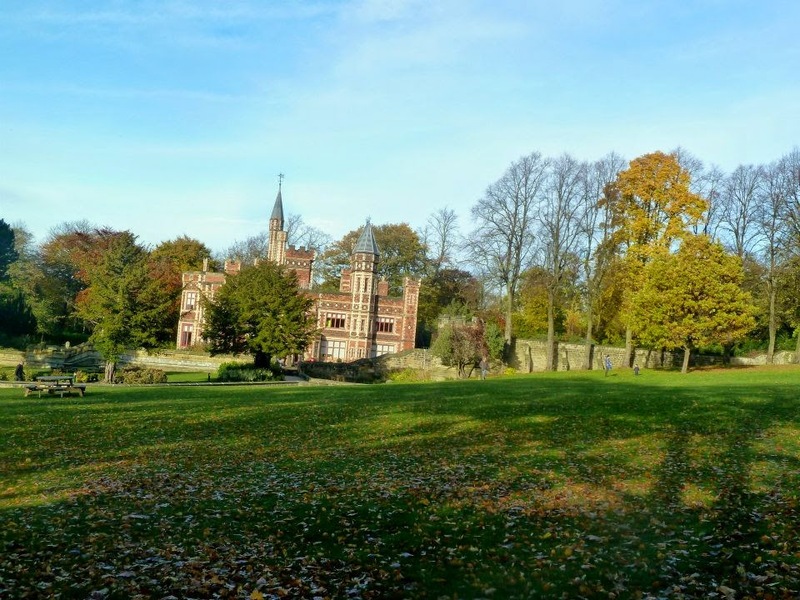 We'd pick up some fresh local produce and head to Saltwell Park for a picnic (lets forget for a moment that Valentines Day is in February!). One of our early dates in Saltwell Park we went on a swan boat on the lake so we'd have to do that again. We both love movies so we'd head to Newcastle in the evening to watch a film at our favourite cinema, the Tyneside. It's easy to take for granted where you live and think it's not special. But seeing it as new through someone else can make you open your eyes for the first time.